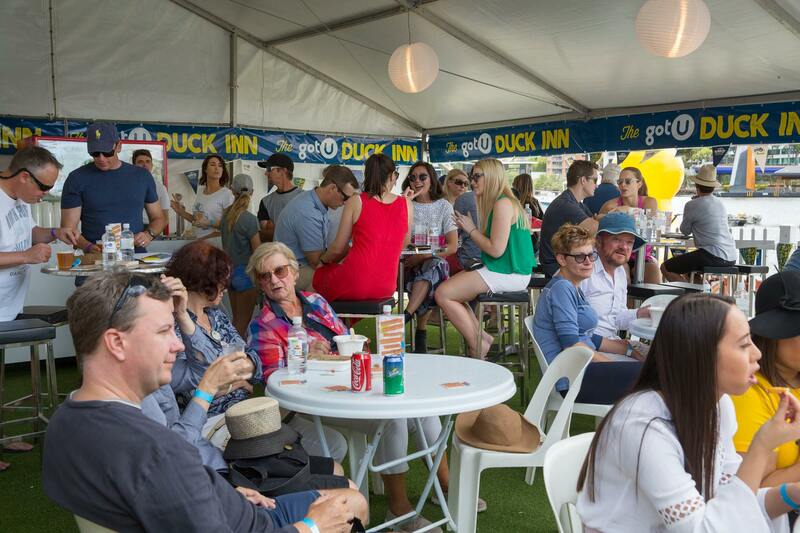 Australia's Biggest Duck - A quacking event! The 10th Annual Riverfest, featuring Australia's Biggest Duck Race, is a major fundraiser for the PA Hospital Foundation. Queensland Hire was thrilled to be part of this iconic event. Queensland Hire provided the main infrastructure required for the event. 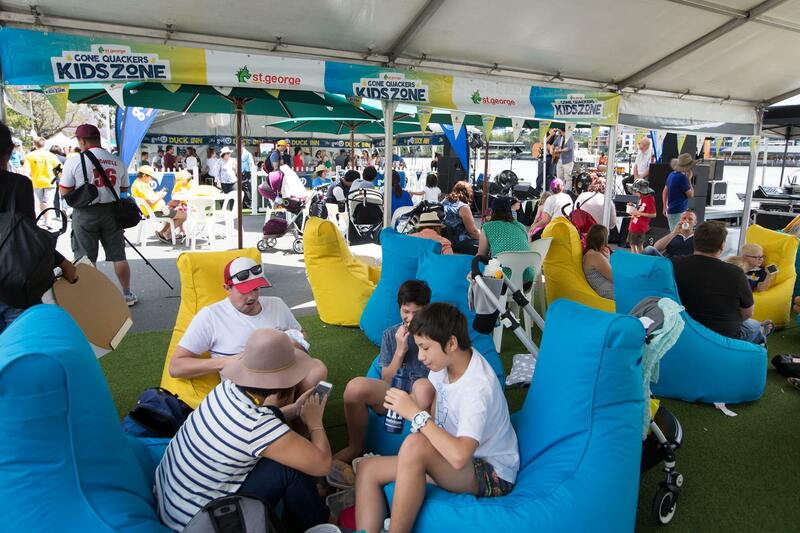 The Festival revolved around a number of areas: Chill out zone marquee; Kids zone marquee; The Regatta Ducks Nuts Inn marquee; Little Ducklings Eats marquee; and Merchindise marquee. 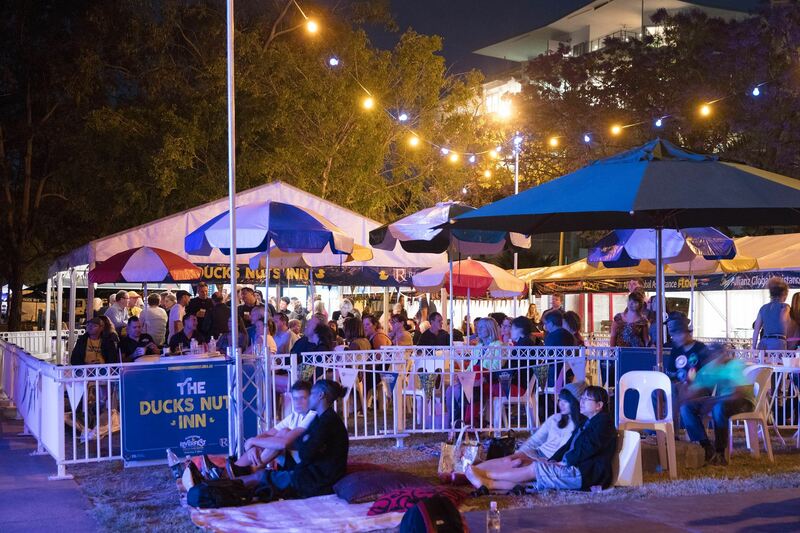 The extensive planning of the event along with Queensland Hire's experienced operations team, meant that the event was installed and delivered to the organisers in a timely and professional manner. 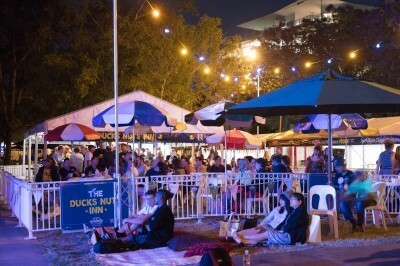 Apart from erecting marquees, Queensland Hire supplied fencing, furniture, cooling equipment and lighting. Driving the Duck from its resting place to Queen's Park for a week and out to West End was undertaken by our capable transportation team. Installing the infrastructure for this event allowed our staff to work with the incredibly motivated organisers and volunteers towards achieving the best outcome for an incredibly important cause. Everybody was happy to pitch in and undertake extra tasks such as draping the bunting, transporting the duck and going out of the way to offer support. We were so proud of what we delivered and would love to do the same for you. Get in touch with us today!